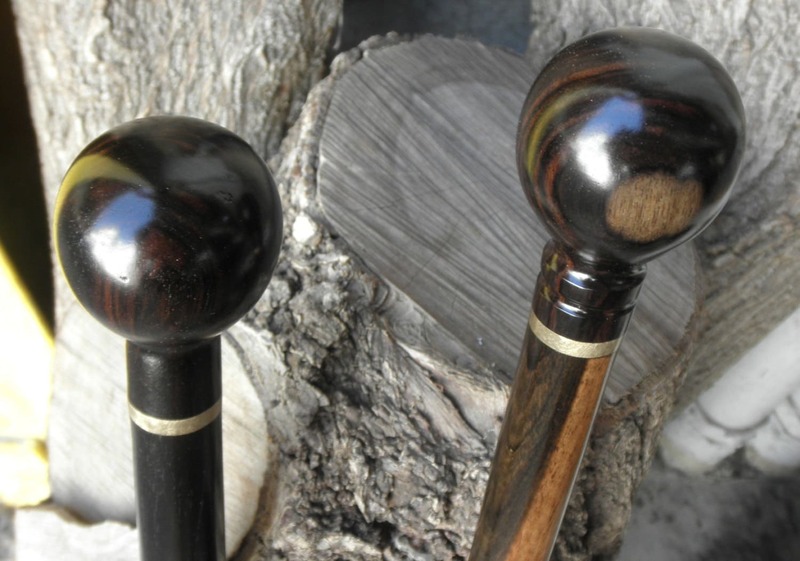 These Ebony Ball Cane Handles are 2 3/4" high and about 1 7/8" in diameter and a little over 1" in diameter where the Ebony handle will meet your cane shaft. . 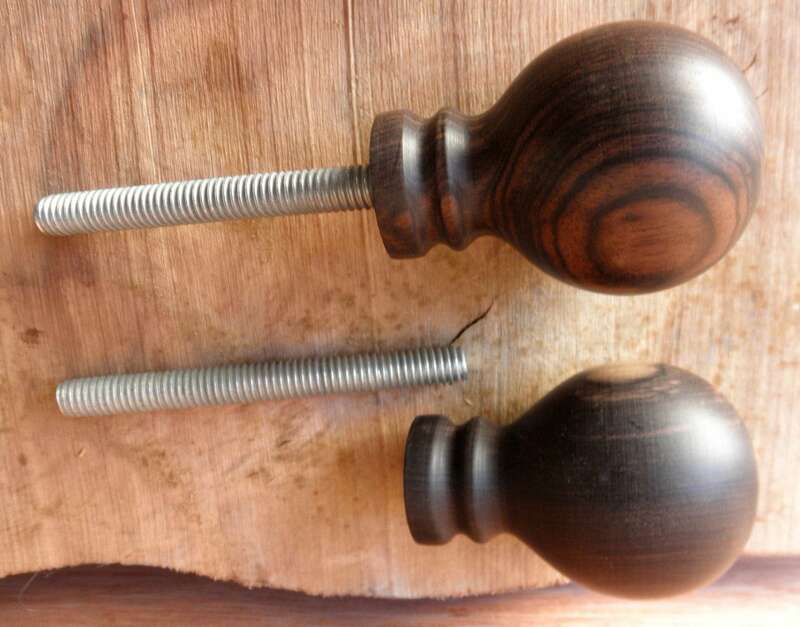 These handles are tapped to fit a 3/8" x 16 threaded rod (which are also provided) which can be seen in the pictures. The buyer must provide a strong shaft about 1" in diameter and be able to drill a 5/16" hole down the center of the top portion of the shaft. This 5/16" hole is then tapped with a 3/8" x 16 tap to a depth deeper then the threaded rod. 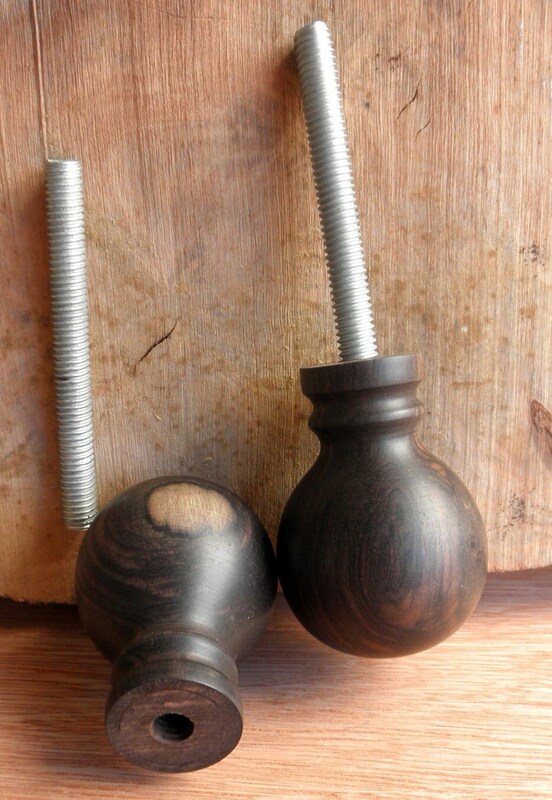 Two Ebony Ball Handles and two 3 1/2" threaded rods included in this sale ! 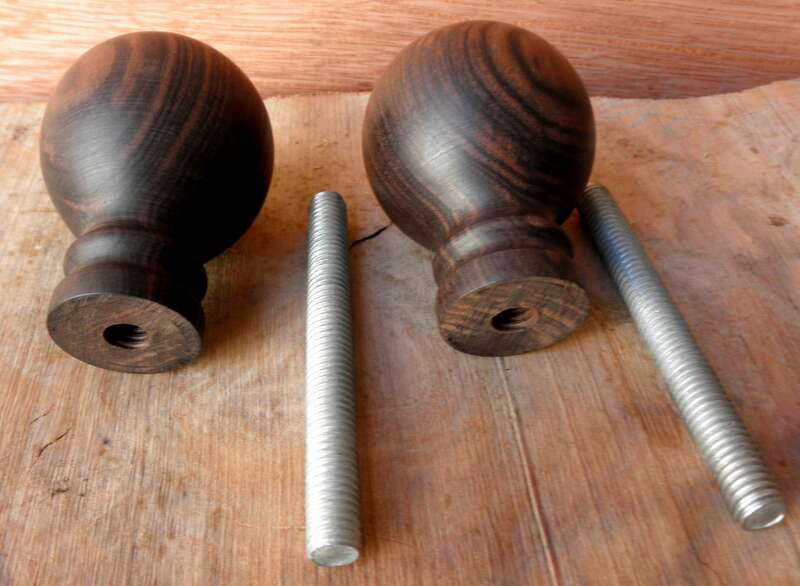 NOTE: This handle is not finished and must be final sanded and finished after your cane is assembled. 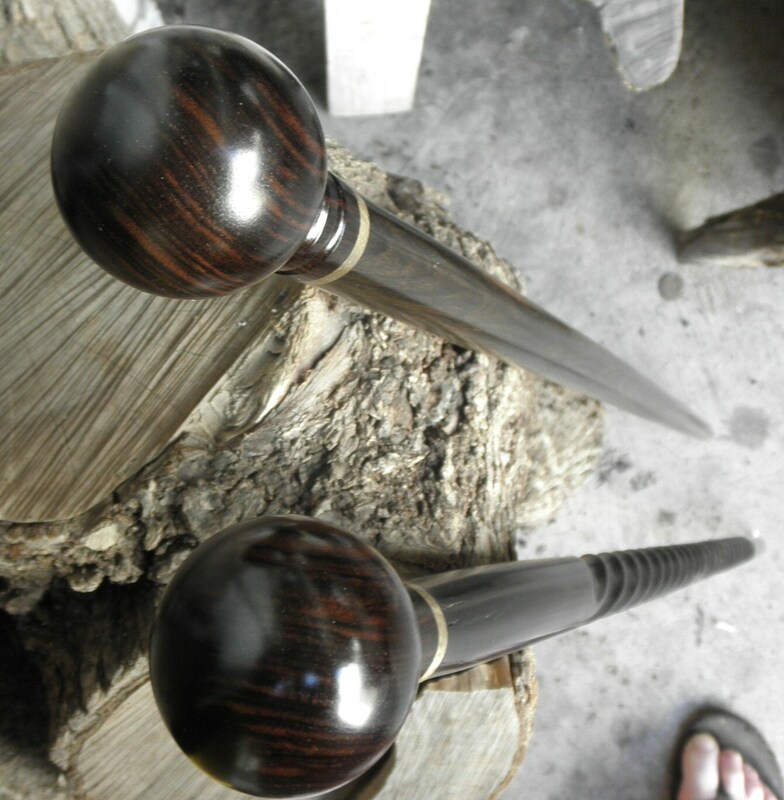 If you are not up to the task then don't buy these cane handles as size adjustments might be needed. Arrived on time and in good condition. And as always these are really nice!!! And the brass ring perfect touch. Can't wait to creat a stick for these!! Thanks again HawaiianMoon U guys Rock!! !